The scientific contribution of Mike Bradbury to the study of the blood-brain barrier is considerable and wide-ranging, starting with his M.D. thesis in 1962 and still continuing today. 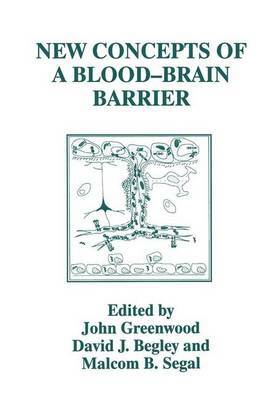 The varied spectrum of topics relating to the blood-brain barrier presented in this volume and the many geographical locations from which both speakers and participants gathered to attend the symposium are a fitting testament both to Mike's wide-spread influence in the field and to the esteem in which he is held. When we first had the idea of afestschrift to mark Mike's retirement as Professor of Physiology at King's College London and the beginning of a new vie libre as scientist and yachtsman the plan was initially for a gathering of all of the many colleagues, collaborators and students who had worked with him over the years. However what we had not taken into account was the closeness of the international community of workers in the field, the widespread influence that Mike had wielded and the speed with which word would spread. We should have anticipated all three. The final outcome was an excellent symposium with the majority of the world's key workers either contributing or attending. We hope that this volume presents an adequate record of the meeting.